One of the best our city has to offer, the 2014 San Diego Latino Film Festival (SDLFF) is here. Running across two weekends, the fest features an impeccably curated selection of movies that are likely to suit every taste. Whether you like mainstream cinema, or have an affinity for smaller independent films, or if you prefer documentaries, you will find all manner of gems. And that doesn’t even include the short films program, the Cinegay selection, or the special program of films from Chile that are being highlighted at this year’s SDLFF. Some people give me a funny look when I mention film festivals. If the idea of seeing a movie at a film festival seems too particular, or too intellectual, or too fringe, can I please assure you that it is none of those things. You show up and buy a ticket just like you would for any other film. You are more than likely to have the filmmaker or cast members in attendance. And a Q&A session with them at the end of the screening. Where else can you get the opportunity to hear directly from the creators of a film you have just seen. In many instances, this may be the only opportunity to watch the film because it may not get subsequent distribution. Also if you tell yourself that none of the films will be of interest to you since you are not latino, then you will be dead wrong. Three of the films screening here are already on my list of the best of any films I have seen so far this year. Below are some of the films that are playing at this year’s festival. It is only when I listed together here that I realized that all of them are strangely, in one way or another, about brothers and sisters. SOMBRAS DE AZUL (Shades of Blue, Mexico): A young girl shows up in Havana for the first time, and settles down to spend a few days in the city. As she starts to roam the Cuban sights, you realize from her mental conversations (directed to a lover? father? friend?) that she has run away from her past life. She frequents the city attractions, spends time with another resident at the lodging house she is staying at, and finds herself surprised at developing a friendship with a local man who she first met when he tried to steal her camera. Part travelogue, part confessional, and altogether authentic, the experience of a person in a strange new land amounts to a film of unexpected depth. This is assured, confident filmmaking, characterized by remarkable acting. An example of how the honest and truthful telling of a personal story is all it takes for a movie to hum with universal truths. What a remarkable achievement this quietly devastating film is. 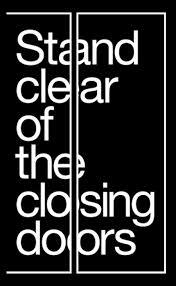 STAND CLEAR OF THE CLOSING DOORS (USA): This film is another stellar example of an immersion in the lives of a few individuals that results in a greater understanding of what it means to be human. Mariana is a single parent who makes a living cleaning homes. At the end of each school day, her daughter is entrusted with bringing her autistic younger brother Ricky back home. One day, Ricky wanders off after school and doesn’t return home. How does a parent deal with the nightmare of a lost child, as hours slip into days? How is a mother to forgive her daughter for the consequences of her carelessness? How is a severely autistic child to come home when he isn’t wired to be able to do so? Who can you truly rely on in a difficult time, particularly if you are stationed close to the bottom of the socioeconomic ladder? Austere, stark, and almost documentary-like in its quiet observations, this film demonstrates that the best cinema places you squarely in the shoes of someone else and lets you feel that person’s existence. And by doing so, moves you to contemplate your own place in the world. It absolutely breaks my heart that a film as unquestionably brilliant as this one will not get a hundredth of the exposure that it deserves. 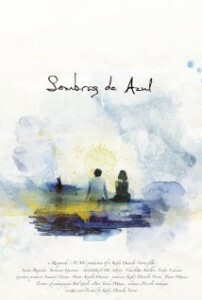 At the film’s conclusion, the audience I saw it with leapt into applause. I couldn’t join them because I was too choked up to respond. This film is the reason we bother to watch movies at all. 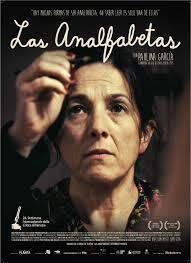 LES ANALFABETAS (The Illiterates, Chile): This film is a character study of the kind of person we seldom see films pivot around: an irritable, impatient, prickly, and proud individual. The kind of person who has decided that they will not (can not?) play by the rules of society. The kind who is deeply, resolutely set in their ways. And then consider the plot: an illiterate individual learns how to write. This could have been the sort of soggy, insufferable dredge that this premise might dictate, but the movie completely bypasses that trap. After her sublime turn in GLORIA, here is Paulina Garcia again in a completely different incarnation, shorn of all vanity and playing an individual that is instantly recognizable. The film also has the good sense to not provide every answer, leaving it up to the audience to contemplate the reasoning behind certain actions in the film. A movie will stay with you longer if you are left with just enough ponderables to keep you wondering. 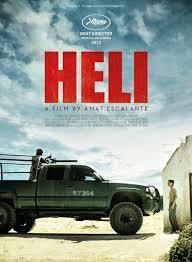 HELI (Mexico): This film nabbed the best director prize at the Cannes Film Festival last year. And I can see why: it creates some of the best sense of foreboding that I have seen in a movie in some time. It is that feeling that something truly awful is going to happen any moment – that is sustained through much of the narrative. This film will resonate with those who admire darkly bitter, deeply violent films. From the very first scene that elicited a gasp from the audience in the screening I attended, this film is unrelenting in its single-minded pursuit of exploring the worst in human behavior. Set in a deeply rural Mexico where government and lawlessness coexist as one, the film revolves around a family whose lives implode when the teenaged daughter has the misfortune of falling for a young army cadet who tries to get away with a stolen batch of cocaine from his superiors. Pulpy and gonzo, the film may not be for everyone, but there is no denying the high voltage charge it carries. 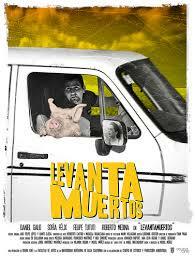 LEVANTAMUERTOS (Death Strokes, Mexico): This films clocks a few days in the life of a man who works in the coroner’s office. Frequently dispatched to take care of bodies of the recently deceased, things get into a tailspin when he is forced to use many of his vocational skills to conceal a death that has occurred at this hands. Like HELI, this film carries a foreboding air that is heightened by a morbid tone and dark humor. Set amongst the inhabitants of a small town in Mexico that is cooking under the relentlessly brutal summer heat that almost justifies the extreme actions of many of its characters. Had this film been able to build on the rich characters and setting, it would have been a great Lynchian outing. But even though it diffuses in the last act, it makes for a good ride to the dark side. 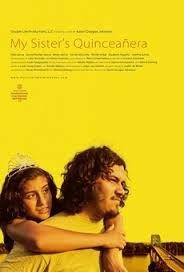 MY SISTER’S QUINCEANERA (USA): A latino family in a small American town is the focus of this film which observed them in the week leading up to the quinceanera of the oldest daughter. What is refreshing about this film is that everyone in is inherently decent; there are no bad characters here. The younger sister feels a little left out since her turn for a quinceanera is yet to come. Her older brother hangs out with his best friend and is trying to hold off the onset of adulthood and responsibility as much as possible. This is one of the better depictions on film that I have seen of the struggle to decide whether to stay in the same small town one has grown up in versus getting away from home for college. The film has a wonderful, gentle understatedness about it; there is nothing overly dramatized or shrill in the movie. Also there is a naturalness about the actors, maybe because many of them are related in real life. This is a quiet gem of a film.